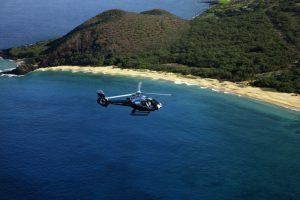 This is one of Maui’s most popular Helicopter Tours! 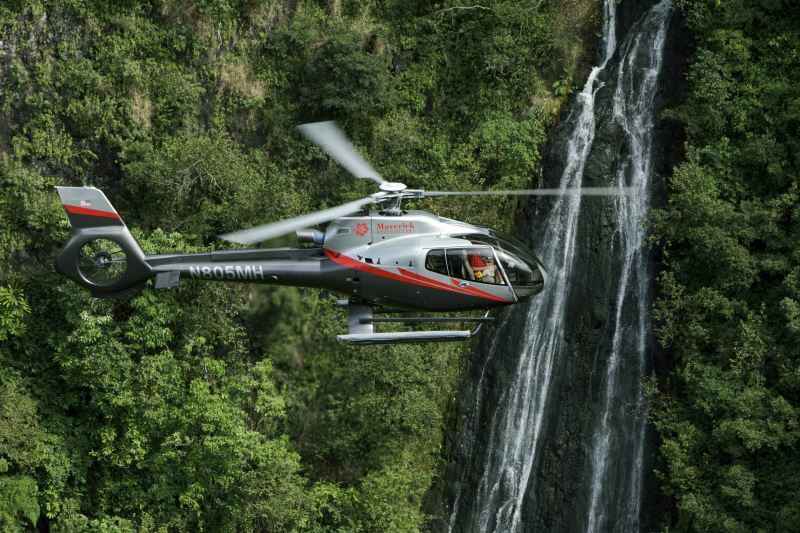 Experience a helicopter ride unlike any other, “The Hana Rainforest Experience”. 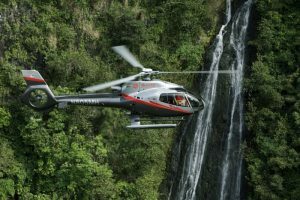 Explore Maui on a 75-minute adventure, which includes a 30-minute landing tour within a Hawaiian Rainforest. 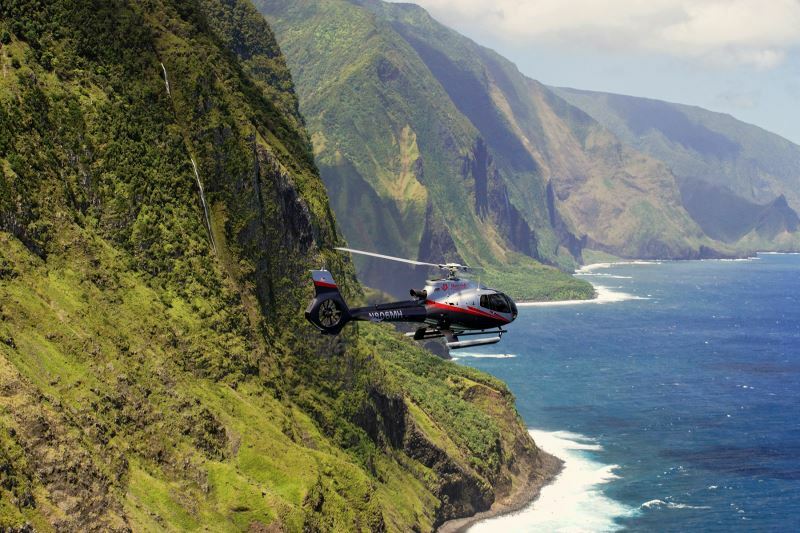 Fly along Maui’s North shore with views of breathtaking sea cliffs and waterfalls. Enjoy aerial views above Paia, Hookipa, Haiku, and the famous surf destination, JAWS. Jaws is where you can view some of the biggest surf in the world. You will also enjoy views of Hana and the iconic Jurassic Rock. 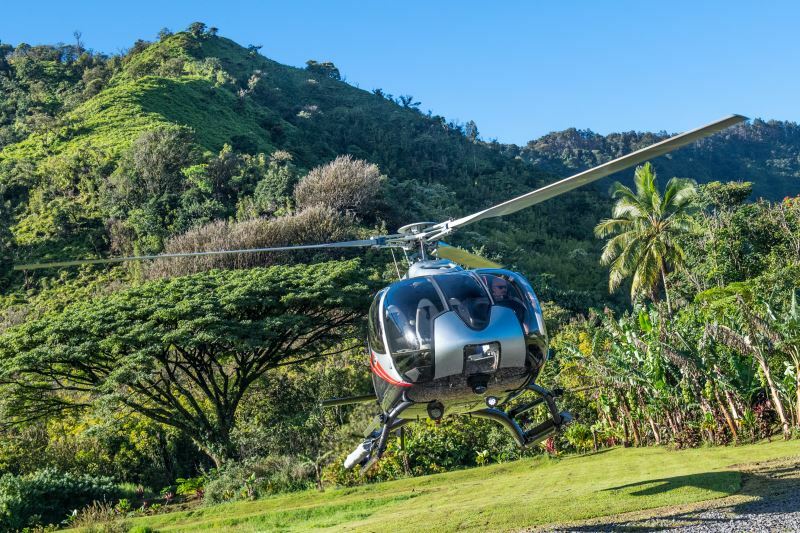 This Helicopter lands deep in the Hawaiian rainforest. After landing in Hana you have the rare chance to explore the Wailua Valley, a former taro plantation. 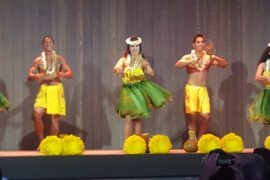 Enjoy the lush vegetation including banana, coconut, and wildflowers while being surrounded by canyons and waterfalls. Your pilot will provide information about this remote Hawaiian landscape. This property is a place which very few people have ever stepped foot on. 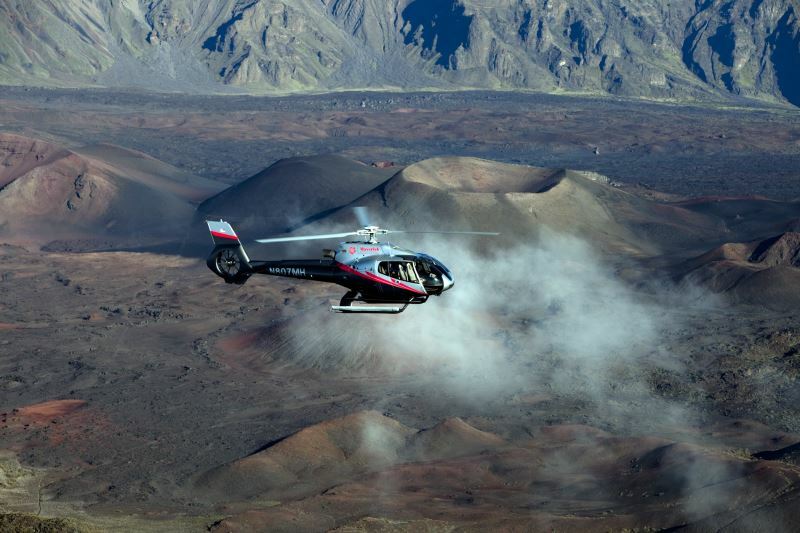 This 75-minute flight is a one-of-a-kind Maui excursion. Maverick Aviation Group has the largest fleet of ECO-Star helicopters in the world. This aircraft, made by Airbus Helicopters, is the safest and most comfortable helicopters in the world. This Helicopter has greatly reduced flight noise and offers breathtaking wraparound views like no other helicopter. When this amazing aircraft is combined with top-notch pilots and exceptional customer service you cannot go wrong booking your tour with Maverick.